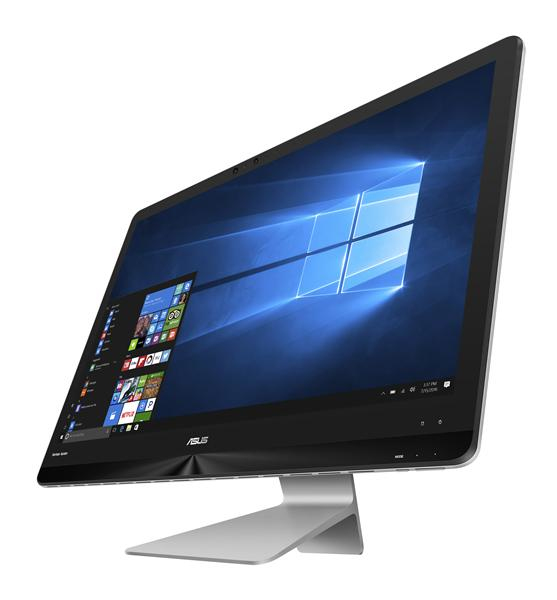 The 22- and 24-inch Zen AiO all-in-one PCs now have a big brother: the 27-inch Zen AiO ZN270. 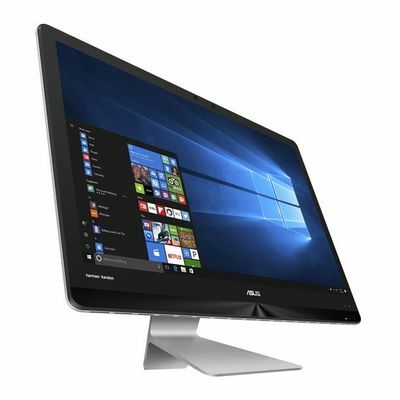 The awe-inspiring display of the ZN270 has edge-to-edge glass with a narrow bezel that makes it incredibly compact, and it’s also surprisingly slim and light. The 7th Gen Intel® Core™ processor delivers uncompromising performance, and the quad-speaker Harman Kardon audio system immerses you in clear, powerful sound. Zen AiO is the ultimate proof that technology can be beautiful. 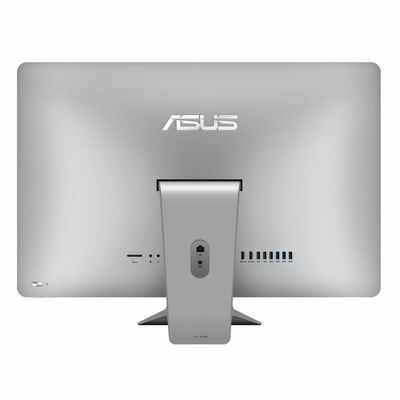 Its seamless, precision-crafted unibody construction has a glamorous Quartz Grey metal-effect finish that includes signature ASUS spun-metal detailing on the frame and rear power button. 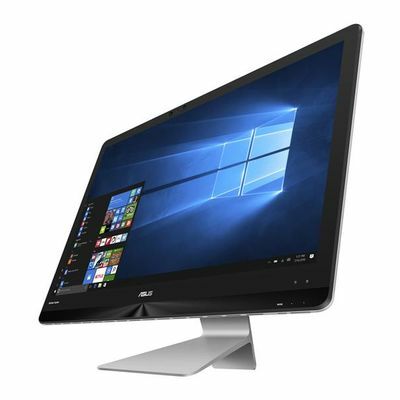 With its elegant, integrated solid-aluminum stand, Zen AiO is a powerful all-in-one Windows PC that’s also a work of art, adding grace and style to any home. 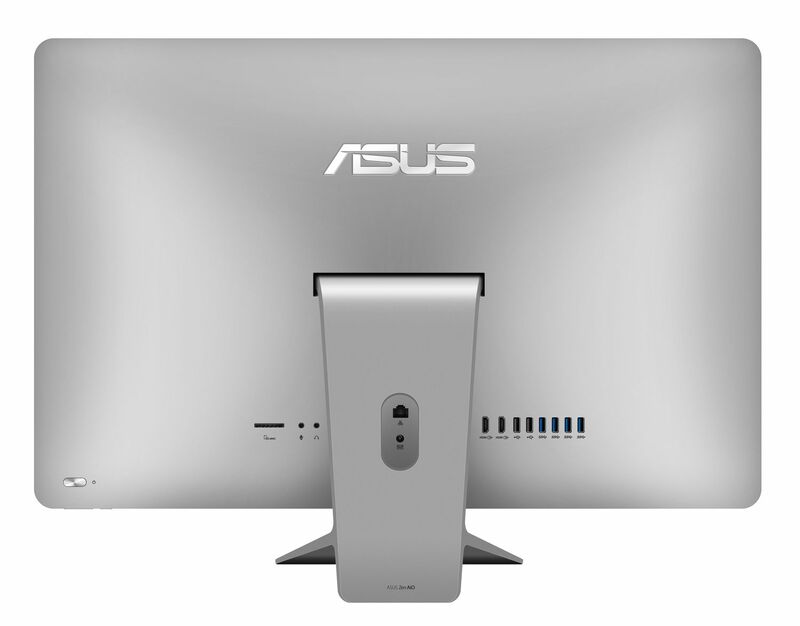 The space-saving Zen AiO ZN270 has a thin-bezel design that maximizes the viewing area — it has an impressive 74% screen-to-body ratio — while keeping the body remarkably slim and light. 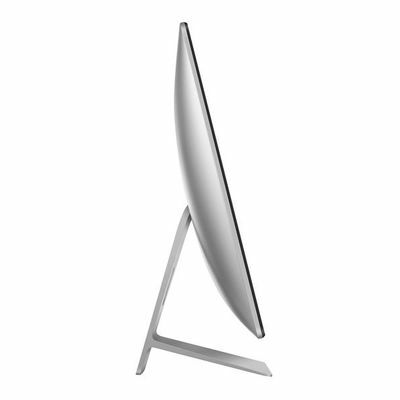 Its stunning 27-inch widescreen display has an edge-to-edge glass covering, and uses wide-viewing-angle technology — so it’s perfect for sharing pictures or videos with friends and family. 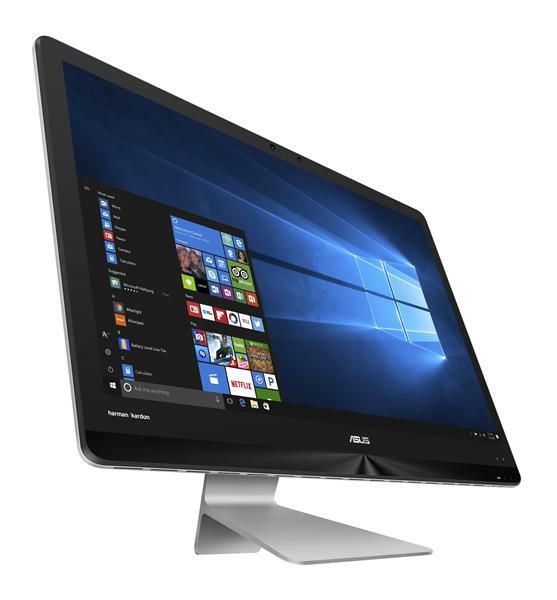 With full HD 1920 x 1080 resolution, you’ll enjoy games and movies in stunning detail with amazing color and contrast. 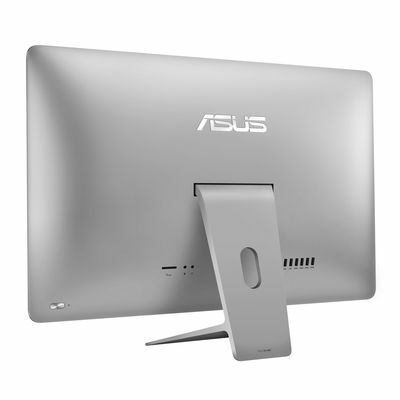 ASUS Zen AiO represents a technological leap in touchscreen interactivity, with full 10-finger multitouch capability. Perform gestures such as pinch-to-zoom, or rotate images and scroll through webpages — all with ease. 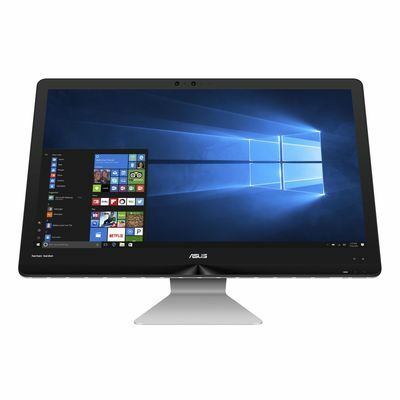 With its projected capacitive touchscreen technology, Zen AiO ZN270 gives you outstanding accuracy, effortless control in Windows 10, and an optimized touch experience. The smooth and responsive touchscreen makes swiping, scrolling, and all other gestures quick, more intuitive, and incredibly enjoyable. To match its incredible looks, ZN270 offers uncompromising performance. Inside the sleek exterior you’ll find up to 7th Gen Intel® Core™ i7 processors, the latest DDR4 memory for supercharged read and write speeds, up to 512GB SSD storage for ultra-fast boot-up times, up to NVIDIA® GeForce® 940MX gaming-grade graphics, the latest connectivity, and much more! 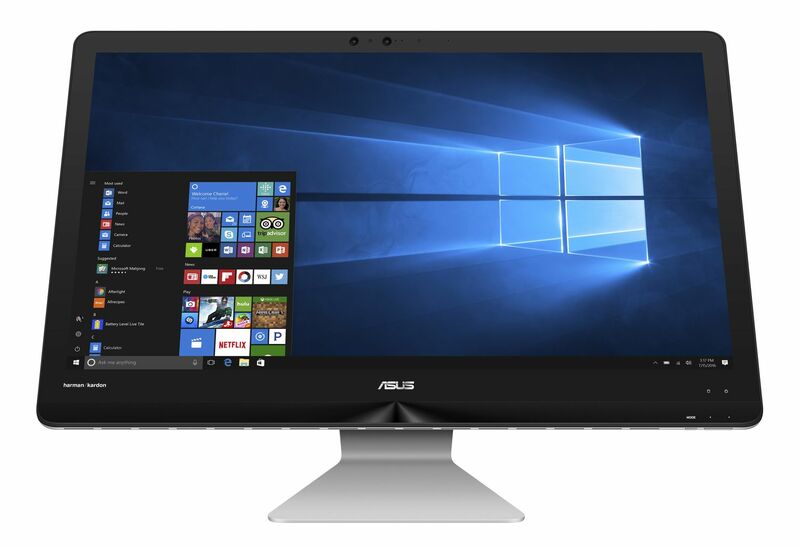 Zen AiO ZN270 features an astonishing quad-speaker, 12-watt audio system — designed by the ASUS Golden Ear team and certified by world-renowned audio experts Harman Kardon. Each stereo channel uses a pair of 3-watt speakers in a two-way design — just like you find in top-quality Hi-Fi speakers. A two-way speaker design uses two separate units working in perfect harmony: a small silk-domed speaker called a tweeter that is designed to deliver crystal-clear high frequencies, and a larger more robust speaker called a woofer that produces rich, powerful distortion-free bass. You really have to hear it to believe it! Link and sync your mobile devices! 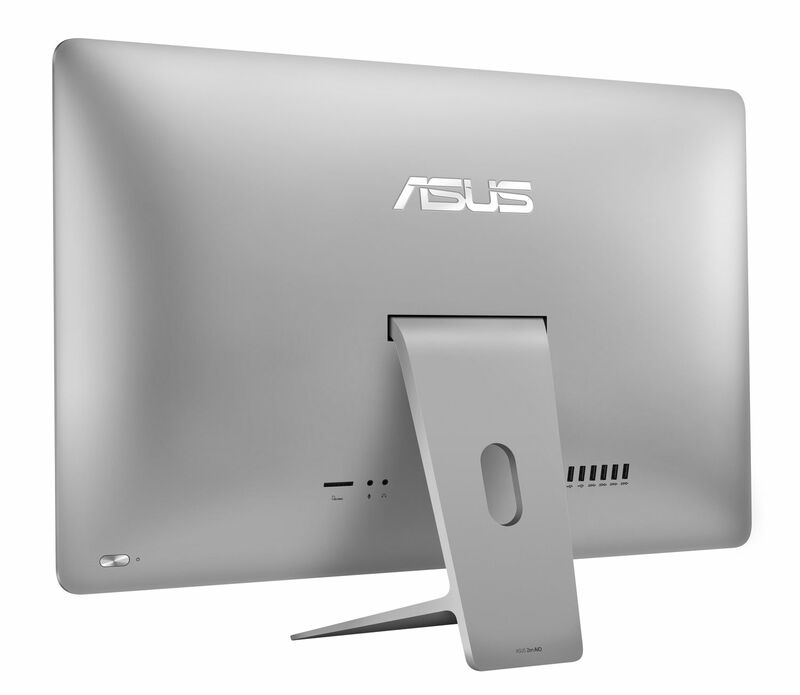 Zen AiO ZN270 comes with the exclusive ASUS ZenLink app that helps you easily share information between your mobile devices and your Zen AiO. You can send files, contacts and web addresses either way — or even send and receive messages on your device, from your PC’s desktop!